Sephora by O.P.I. 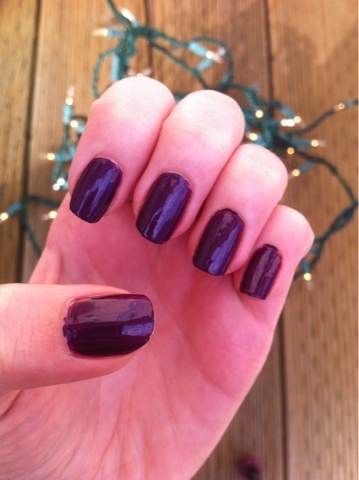 in "Eve-y on the Eyes"
This nail polish is the perfect Autumn grape purple color. 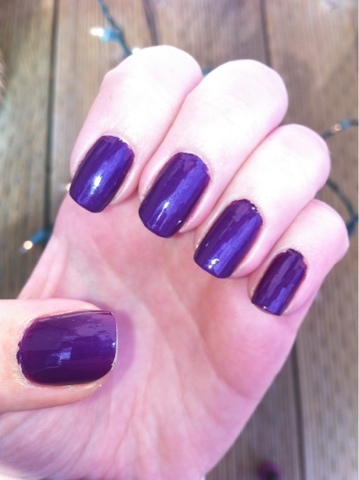 If you have been following my blog for a while, then you can tell that I love purples. 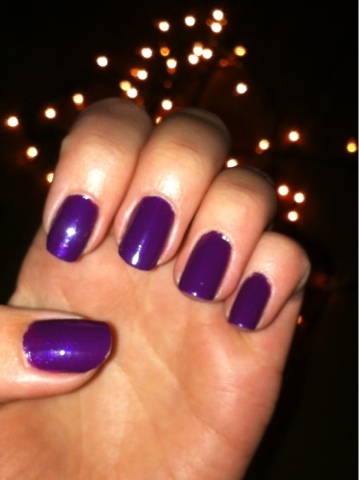 What I find really fun about this purple is the metallic purple shimmer! 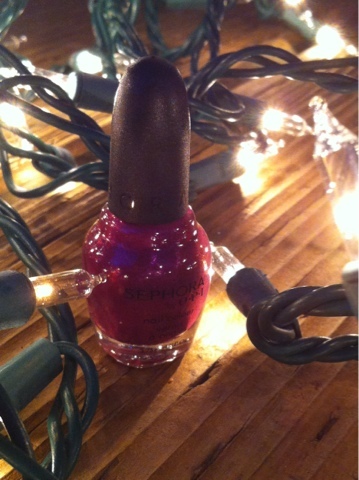 It adds a nice sparkle and shine without making the polish difficult to remove. 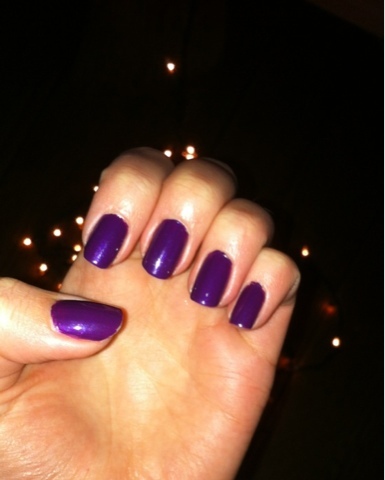 I have had this nail polish on for four days, and so far just have a few chips.